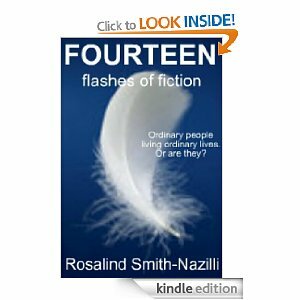 Effective flash fiction should be like a punch to the gut. It should be the sudden wrench as you trip and suddenly you are looking skywards. It's the slice of lemon in your drink. It’s the finger in your pork pie. You can nod to yourself knowingly like you know where this story is going but then it hits you. That is flash fiction. Rosalind Smith-Nazilli accomplishes this impact and more. This collection has a bit of everything for you it has debt collectors, serial killers, gangsters, prostitutes, fugitives and van drivers on unexpected errands. It has action, suspense, heart and soul. My favourite tale is Remember Yesterday. An emotional story that captures a sad moment perfectly. The warmth of the nostalgia blends with the melancholy theme beautifully. Crafting an effective story with a limited word count is extremely tricky, however, the author succeeds time and again. A cracking collection that kept me entertained from start to finish.